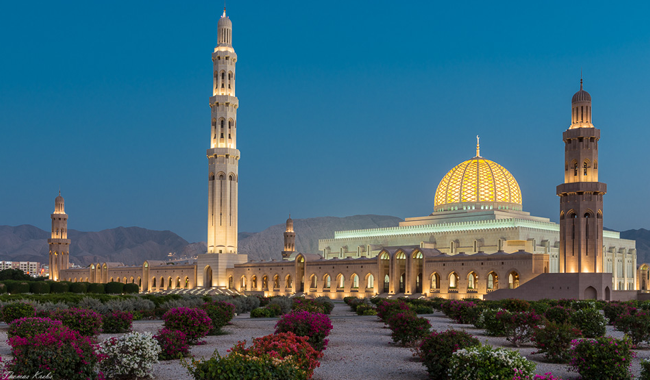 With its unique location on the Arabian Sea and its climate, which combines desert serenity, Indian monsoon rain, and a spectacular green landscape, Oman represents the most beautiful of the Gulf nature. 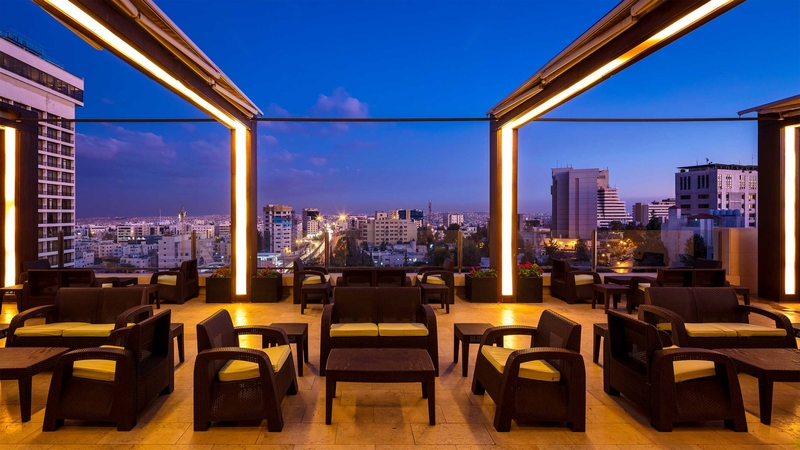 Heavy Monsoon Rain In the summer, the desert of Amman is covered with green lush greenery attracting tourists from all neighboring countries to enjoy a distinctive summer in the beautiful Omani nature. 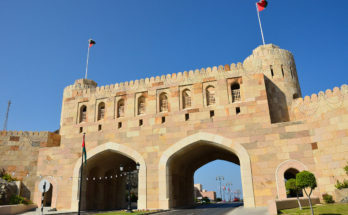 From safari safaris to diving and water sports, through green valleys, golden beaches, castles, museums and old souks scattered throughout Oman Packages, every traveler will find his travels in the Sultanate. 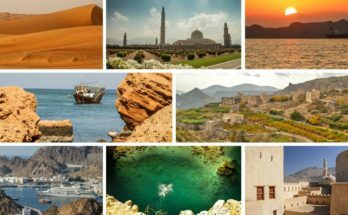 Here is your guide to the best places to visit in Oman during the summer to enjoy a rich holiday filled with environmental beauty and traditional Omani hospitality, known for its generosity and generosity. 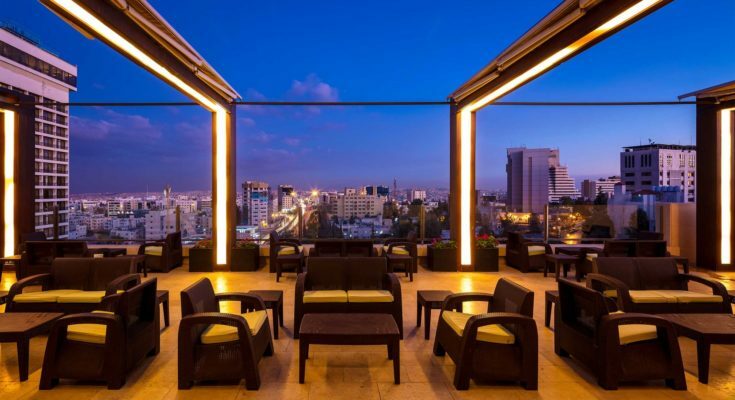 It is natural that the capital is the first stop of your journey to Amman, a great tourist center and a gateway between East and West. It combines history and modern civilization with a large number of museums, gardens, diving centers, commercial facilities and picturesque beaches waiting for you to explore. Muscat also has many distinctive modern hotels that combine comfort and relaxation and a location close to the city’s tourist attractions. 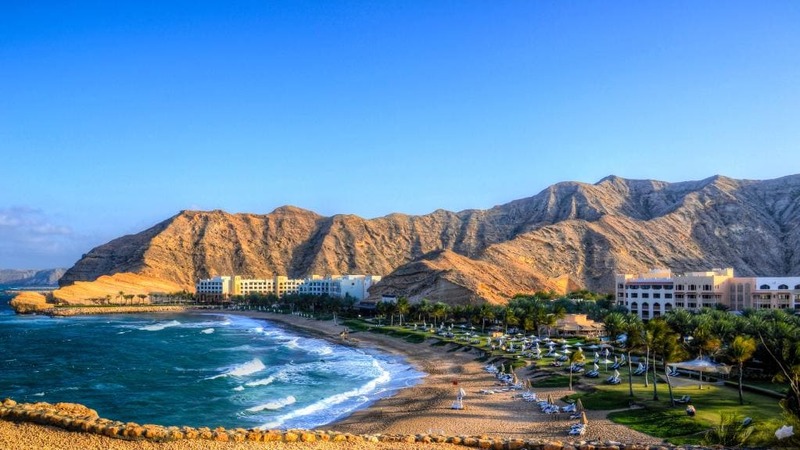 One of the most beautiful beaches of Muscat is the orchard, which is surrounded by mountains in all directions and extended near the Riham Garden, full of trees and flowers. The lovers of marine sports such as swimming and snorkeling will find their way to the Al Bustan Palace, which welcomes the tourists and provides them with the best services. Nizwa is a charming mountain area. 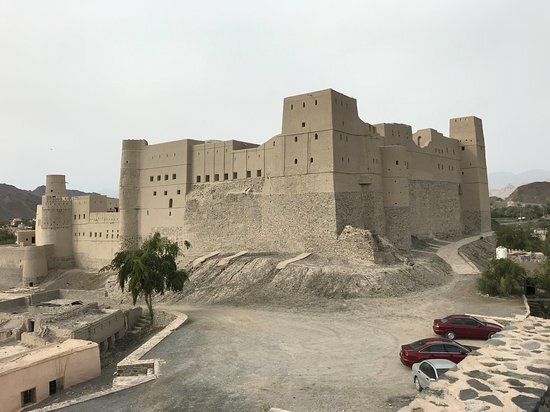 Nizwa is a charming mountainous area characterized by many fortresses such as Nizwa Castle, the oldest fortress in the Sultanate of Oman, and the fortress of Al Rudeida House, which is characterized by its strategic location and distinctive architecture. Nizwa is also the highest peak in the Arabian Peninsula, the Sun Mount, which can be visited to see the “necropolis”, a deep gulf that looks like the edge of the world. The visitor to Nizwa cannot miss the famous 2,700-meter-high mountain of the green mountain, which is characterized by its moderate Mediterranean climate and its diverse fruit trees of pomegranate, apricot, almond, nut, and others. Mirbat is the perfect place for adventure lovers and explores caves and wildlife. It is the second largest cave in the world and the largest cave in Oman, in addition to Mount Samhan, a green nature reserve, home to many different animals, most notably the Arab tiger, deer, foxes and Nubian oaks. Lovers of old castles and green palm forests visit Pahla, a green oasis that looks like a carefully guarded piece of ancient history. Visitors to Bahla can travel between the vast Bahla fortress built on a high hill in the state and its ancient archaeological complex, and the four-century fortress of Gebrin, which combines beautiful architectural and decorative creativity with the fortified fortress, through the famous oasis wall that houses many towers and rooms. 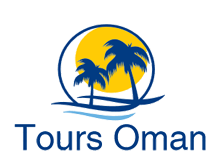 It is no better than the end of your trip to Oman in one of the most beautiful areas in the Sultanate and its second capital after Muscat. Salalah is a picturesque oasis with the most beautiful beaches and valleys of the Sultanate. For example, Mughisel Beach is one of the most beautiful 10 beaches in the world and is characterized by natural water frequencies at its rocky level, which makes it an unforgettable sea destination. Wadi Derbat is also one of the Salalah jewels, which is characterized by its greenery and abundant waterfalls that make it one of the most beautiful natural places in the Arabian Peninsula. If you are a fan of driving in the wild, stepping into the woods, sitting on the ponds and climbing green mountains this summer, Salalah is your most suitable choice. Low temperatures, deep forests, and freshwater springs make this place worth driving. Here you can imagine what it was like the Arabian Peninsula thousands of years ago. The Middle East boasts many luxury hotels, from pirate tents and trampoline center to hiking trails and volleyball courts. These hotels are keen to make the most of the landscape in Oman and increase the hospitality of the guests. If you want to enjoy the comfort and luxury, make sure Of your stay at any of the hotels listed below. This castle is one of the most important monuments of the state of Nakhl in the area of Al Batinah, extending on a rocky up to 200 feet in the foothills of the mountains of the West Stone, giving them a charming and attractive view, dating back to the pre-Islamic era, and was renovated in the two centuries The third and tenth of the AH, which is a massive construction structure and is built on rocky platforms comprising a number of zodiacs, the most famous eastern, western and middle. 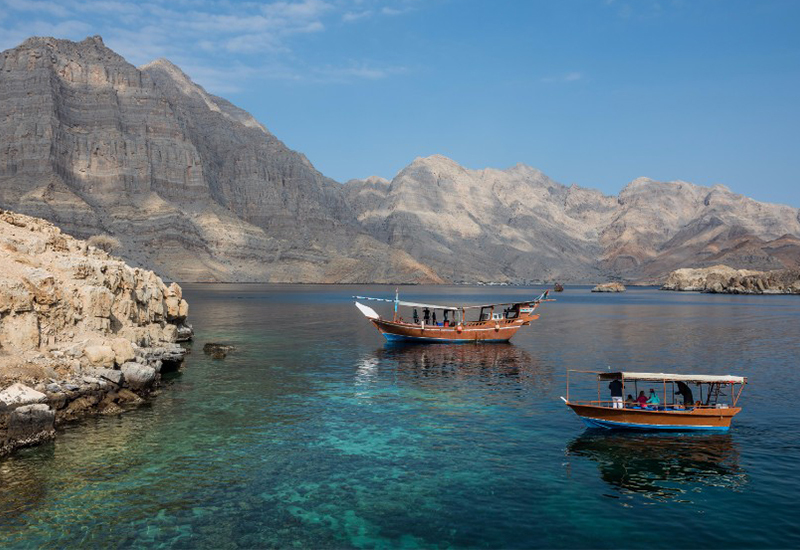 If you are looking for some spectacular views of the high mountains, in a watery life rich in fish wealth, just go to the state of Dibba, a charming destination in Musandam tour province, characterized by its many heritage features from castles and ancient tombs, The most important tourist activities you can do there are the Arabian Dow Cruise, where you can sail across the crystal clear waters of Oman. 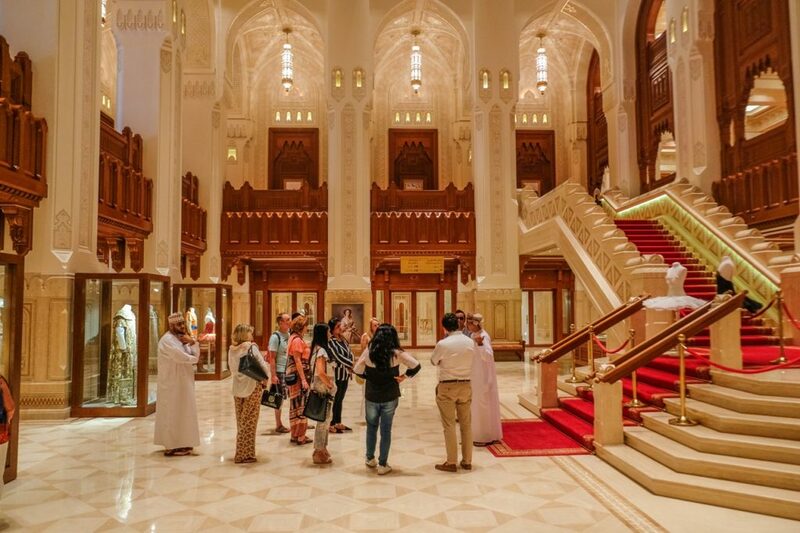 The Royal Opera House was established in 2011 and is one of Oman’s cultural destinations. If you are not an opera lover, it is still a wonderful trip to the Opera House to take a look at this majestic building. 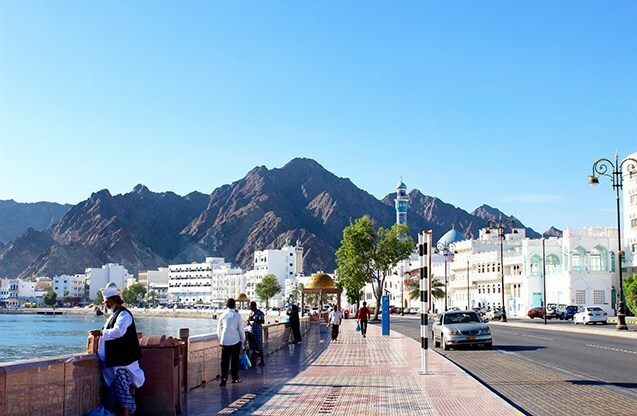 When you are on vacation in Oman, make sure to take a trip to the Muttrah Corniche to enjoy some quiet time away from the hustle and bustle of the city. A series of charismatic buildings and mosques spread along the Corniche, a stunning sight especially during the sunset. If you are looking for a beautiful holiday away from the city, the waters of Khasab are known for their dolphins and colorful fish, so it is a great opportunity to dive and enjoy life under the water. Bright, and enjoy a stunning sunbathing. Previous Article Why Oman is famous?